An Ice Air water-source heat pump (WSHP) delivers high-performance heating and cooling with exceptional efficiency. Our full line of products fit a variety of applications like schools, office buildings, health care and rehabilitation facilities, condominiums and retirement facilities and more. 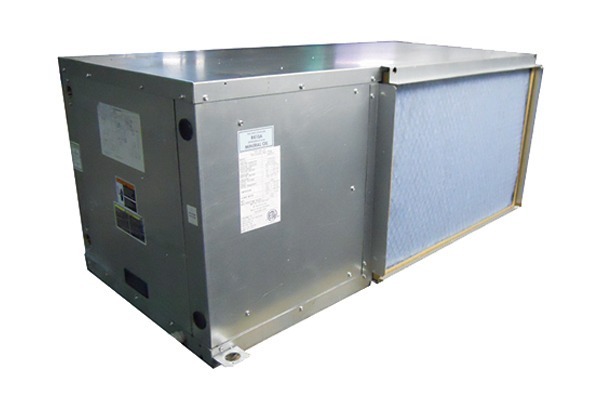 Ice Air WSHPs utilize the highest quality materials and manufacturing practices to provide quiet comfort operation. Thermal and sound insulation, paired with precisely-sized air handling components deliver low sound levels while achieving optimum comfort. Work without distraction. Sleep without noise. In fact, Ice Air Water Source Heat Pump (WSHP) units create a comfortable environment so quiet it’s almost undetectable. Maintaining the highest quality product means Ice Air products meet all UL standards and conform to ASHRAE 90.1, local building codes and energy standards. All Ice Air products are ETL-listed for safety in the U.S. and Canada. Every project is different with distinctive needs outside of providing comfort to the space. Ice Air hybrid units are available in a multitude of piping configurations with a wide variety of options and accessories to create a custom design tailored to the needs of the project.